Viknesh Vijayenthiran November 13, 2017 Comment Now! 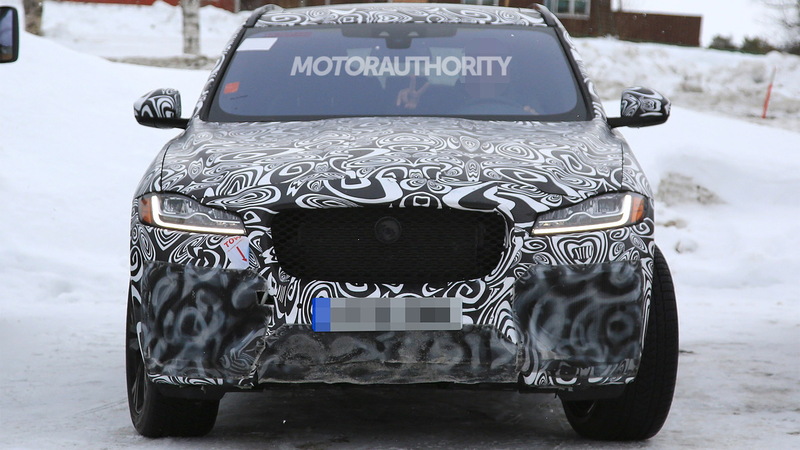 Jaguar is testing prototypes for a high-performance version of its F-Pace SUV. 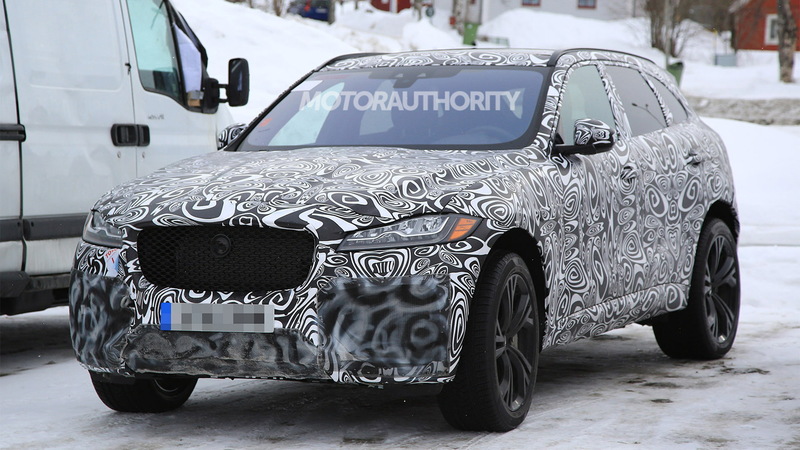 The prototypes resemble the current F-Pace S, but it’s easy to spot their new, much more aggressive front fascia design. 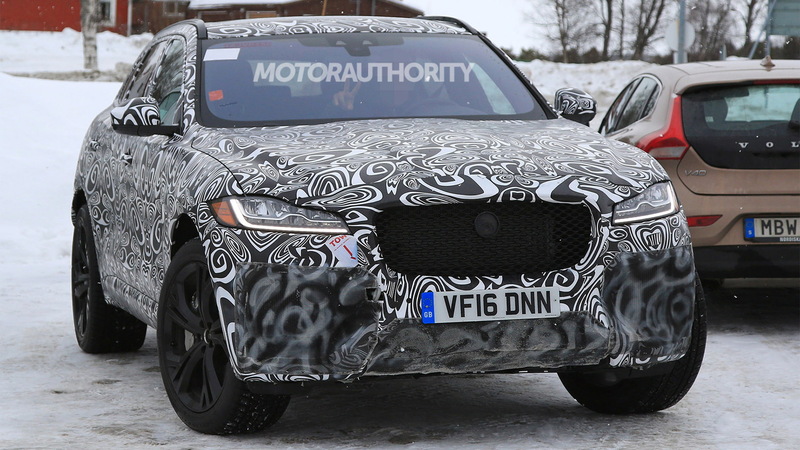 The stock F-Pace S exhaust tips have also made way for a more aggressive quad-tip arrangement. And there’s no mistaking the burly sound of a V-8 in the latest spy video clip. Handling the development is Jaguar Land Rover Special Vehicle Operations. The team will no doubt be relying on lessons learned from the Land Rover Range Rover Sport SVR program in tuning this high-performance F-Pace, as well as a high-performance version of the Range Rover Velar. Under the hood is Jaguar Land Rover’s 5.0-liter supercharged V-8 delivering an output in the vicinity of 550 horsepower. Paired to an 8-speed automatic and standard all-wheel-drive system, the cracker of an engine should see the F-Pace SVR deliver 0-60 mph times in 4.0 seconds or less. Top speed will likely be governed to 155 mph. The suspension will be tuned for carving up race tracks, and the wheels, tires and brakes should also be upgraded accordingly. The prototypes already look to be sporting some massive brake discs. Weight reduction will be a major focus. 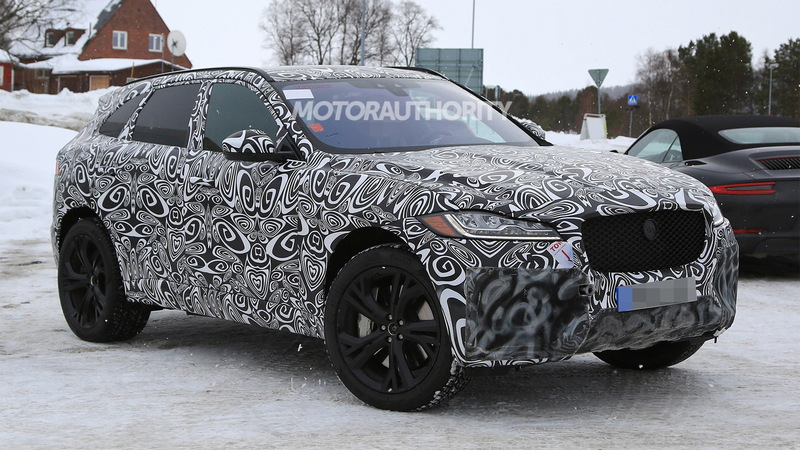 The standard F-Pace already tips the scales at about 4,000 pounds. To address issue, expect weight-saving mods such as light alloy wheels, a titanium exhaust, and possible even some composite materials in the construction. There is a growing number of options in this space. Buyers looking for a small SUV with plenty of poke can already opt for the Alfa Romeo Stelvio Quadrifoglio, Porsche Macan Turbo and Mercedes-AMG GLC63. And Audi and BMW will soon join the party with respective RS Q5 and X3 M models. 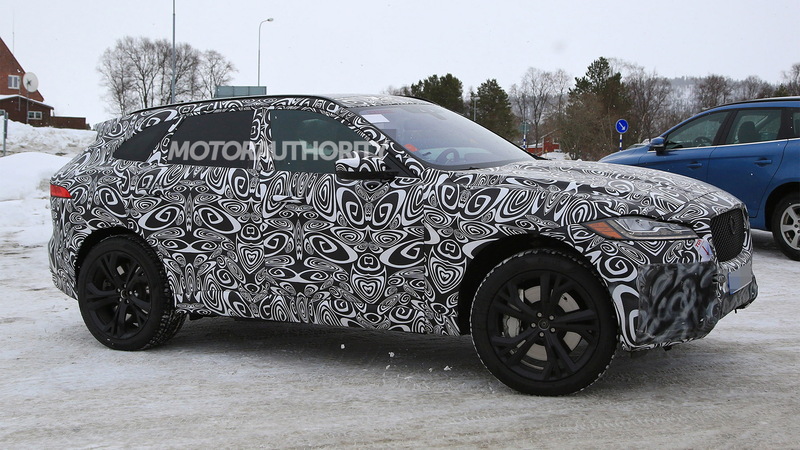 Look for a debut of the F-Pace SVR in the first half of 2018, with the hi-po SUV likely arriving as a 2019 model. An appearance at the New York International Auto Show next March is a strong possibility. Stay tuned for more updates in the meantime.